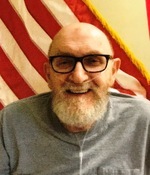 Obituary for Jack Allen O'Brien Sr.
Jack Allen O'Brien, Sr., 84, of Fulton, passed away Thursday, November 15, 2018 at Calhoun County Medical Care Facility. He was born August 22, 1934 in Battle Creek, MI the son of Robert and Mary Jane (Vanzyle) O’Brien. Jack was honorably discharged from the Air National Guard after 5 years of service in February of 1961. He married Judy Wood on January 10, 1976 in Battle Creek. Jack retired from United Steel and Wire after 40 plus years of service. He was a member of Chapel Hill United Methodist Church and Fraternal Order of Eagles. In his younger years, Jack enjoyed traveling and attending his children’s sports events. His greatest joy was spending time with his family. He is survived by his wife, Judy; children, Patricia Kelley, Kathy Moore, Jack O'Brien, Jr., and James O'Brien; brothers, Robert and Jerry O'Brien; 10 grandchildren; many great grandchildren; and nieces, nephews, and cousins. A memorial service will be held Wednesday, November 28th at 1:00 PM at Trinity United Methodist Church.